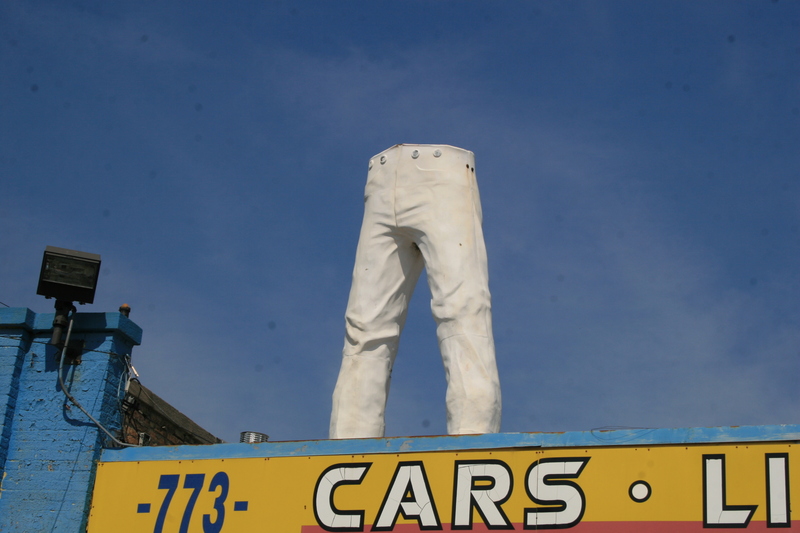 This is a version of muffler men called Mr Bendo, I have yet to learn about where the name came from and why International Fiberglass started making them but there are a few across the country and they all look the same. They have the hand positions of the indian version and they typically have a red shirt, white pants and “Mr Bendo” written on their shirt. This one stands at Ralphs mufflers in Indianapolis and has since the late 60’s. 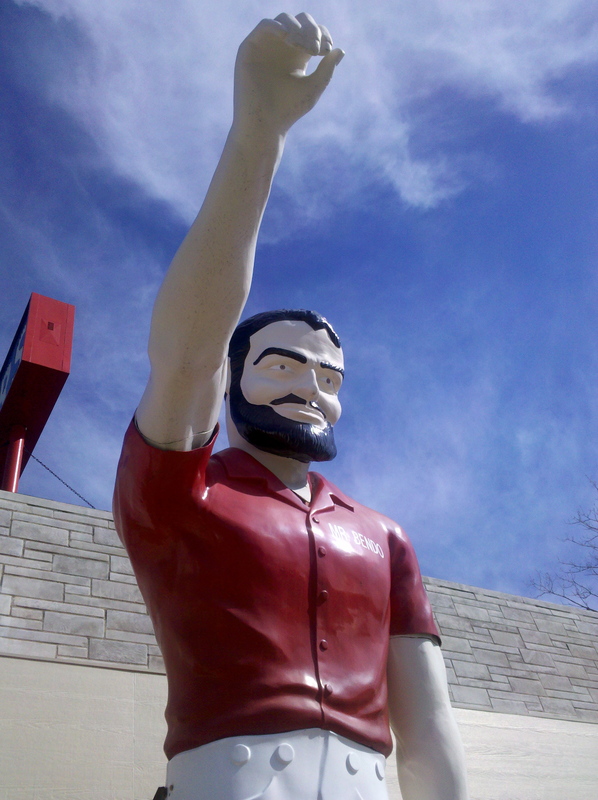 Other versions of Mr Bendo stand in Sioux Falls, Wilson, NC as well as Chicago IL among other places.